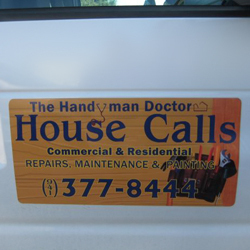 Magnetic Signs offer a combination of vehicle advertising with remove-ability that instantly turns your vehicle into a mini-billboard. Let Ottawa Custom Signs help you to determine the optimal vehicle solution for your need and budget. To make an enquiry about Magnetic Signs for Vehicles please contact us now. To order a Magnetic Sign now please click here.